SIDE NOTE*** I am still working on getting this blog to the point where it is exactly what I want. I was struggling with wanting to keep it the way it was or to change it entirely. I have finally decided that making it stay the way it was and incorporating the mommy stuff in some separate way was just too hard to figure out. And why did I want to do that anyway? The randomness of life is now compounded by parenthood right? Therefore, they should become one. So now I give you the beginning of the sophisticated redneck mommy (with views from the daddy mixed in as well). SO, nothing tells a person they need to slow down like hitting their own spouses car in their own driveway on Christmas Eve. Throw in "rehoming" a dog on Christmas Eve as well and you could say that spending the day crying was how the holidays started for me. New Year's resolution number one: SLOW DOWN. New Year's resolution number two: be confident in my decisions and choices and stop feeling guilty about every little thing. Rehoming Woody was the right decision and he will be much happier in the long run. That's all I can say about that because it's still really bothering me. Christmas day started with a baby covered in snot. I realize she is mine and I am biased, but I am fairly sure we have created the perfect child. I walked into her room Christmas morning and found her quietly talking to herself as usual. As I got closer to say hello she got the biggest smile on her face, as usual. Unfortunately, upon realizing that she in fact had snot on her face, in her hair, and all over pajamas I must have gotten a very concerned look of horror on my face because her demeanor changed and she began to cry. I have read that at seven or eight months babies begin to recognize emotions more clearly and they respond similarly. I felt so bad for making her upset about the snot when she obviously wasn't too concerned about it to begin with. We got her cleaned up and began to plan out the day of cooking we had in store. Seth volunteered us to be the house where everybody would come Christmas day. In volunteering for this he also wanted us to cook the whole meal. I like to cook. Sometimes, I even think I am an ok cook. I mean, I rock at following a recipe. BUT, making a turkey and stuffing and basically everything else was a little daunting. I am learning that I do not perform well under pressure. I get flustered and irritated and overall grumpy. I want it to be done so perfectly that I lose sight of the spirit of things. This has been happening more and more lately. Resolution number three: just because you may be late, you may feel overwhelmed, or you may not do everything perfectly does not mean you can become a holy terror. Take a deep breath and enjoy yourself. Of course, the food turned out great. Lila slept through the whole meal (I'm assuming because she spent the vast majority of the time leading up to it sneezing and eating wrapping paper). Everyone told me everything was really great. It truly was a wonderful day. I hope you and yours had a great holiday! 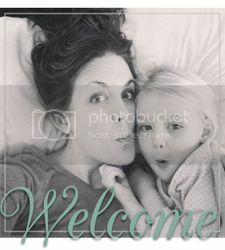 Please leave a comment if you have any suggestions or anything you would now like to know more about in the world of being a parent. I certainly don't have it all figured out, but I like to talk about it just the same. Oh my Jana! I can't believe Woody is back! Also that resolution about not flipping out b/c things are perfect...that's a great one for me too! Love you! I was just looking at your blog and reading about your resolutions and number 3 is soooo me! Spence asked me if I had any resolutions the other day and I literally told him that I was going to try to stop losing my cool so often! He and I both agree that I have this Norman Rockwell picture in my mind for just about anything and when I can't force things to match that picture I start to go off the deep end and miss the fun in the happy accidents! The really bad part is I can feel myself losing it and starting to crack but can't do anything about it! It's like once I decide the train is going to derail I might as well go ahead and make it the biggest train wreck possible! So, my resolution is to recognize when I am starting crack and try to head it off at the pass! Thanks for sharing!